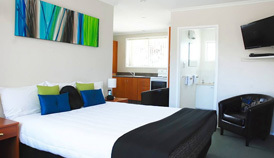 Almond Court Motel is located in a quiet residential area of Alexandra, In the heart of Central Otago. Fantastic location for the business travellers, couples, families & tourists to enjoy our outstanding landscapes and attractions all year round. Just enter and relax in your own apartment lounge with a flat screen TV with Blu-ray DVD, HDMI, Sky TV. This stunning apartment offers two bedrooms, One bedroom has either a King or Super-king size bed The other bedroom has 2 comfy single beds. Close to the Rail Trails of Central Otago, Roxburgh Gorge & Clutha Gold. Locally grown wines & orchards found in some of the beautiful Middle-earth locations. Historical Clyde, the home of Olivers & the Clyde Hydro Dam. Our warm & friendly, relaxed motel is not far from events at Molyneux Park, Aquatic Center, NZ only Olympic sized outdoor ice skating & Curling rink. Walking distance to local restaurants, cafes, shops, sports fields, art galleries. Alexandra is home to the Blossom, Thyme & Wine Festivals. Alexandra is a wonderful base to enjoy the ever changing scenery of Central Otago. Cromwell township is only 30 mins away with the adventure of Highlands Motor Park, Jet boating & Heli Tours. The surround areas of Queenstown. 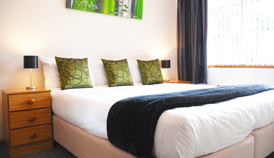 Arrowtown, Wanaka, Cardrona & Hawera only 40 – 60 mins away. 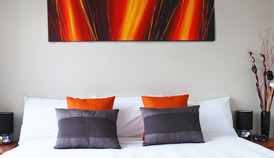 Our beautifully present rooms and apartments come with free multi device Wi-Fi. Flat-screen HDMI TV with Blu-ray DVD. There is an onsite free DVD library. They also have king or super-king comfy beds, leather sofas & recliners in the lounges. kitchens, bathrooms with shower & separate toilet. Room to relax, work or come home to after a busy Central Otago day. Continental breakfast is available, along with free parking. In summer we offer solar heated outdoor relax pool. But in winter central heating is the star, staying snuggly warm in winter. 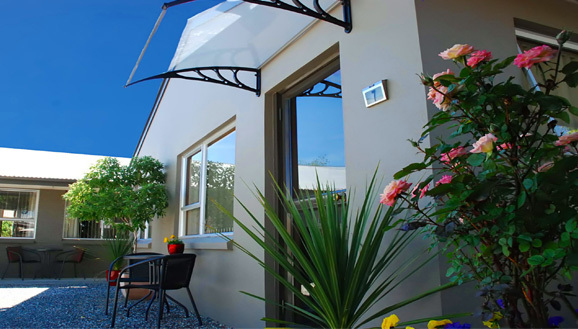 Double Glazing windows have now been added for extra comfort & safety. The BBQ equipment is available, along with our cafe style tables & chairs to enjoy the seasonal sunshine. We have onsite an under 5’s small children’s play area.